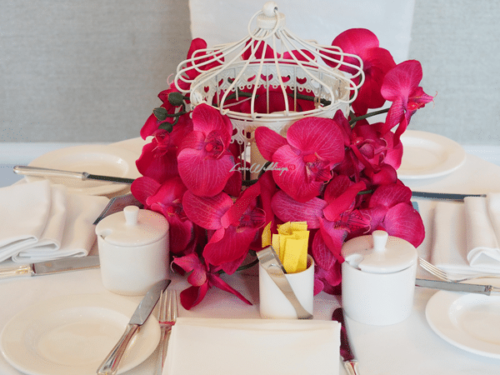 The bid cages can be customised with a variety of flowers. Prices for this is on application depending on the flowers you use. 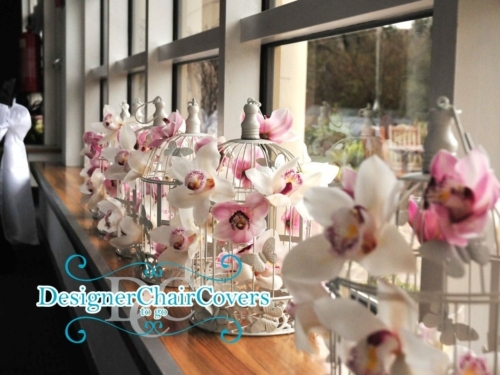 Ivory bird cage with silk floral orchid display.